The Trump Organization raked in some $4.2 million during the midterms from Republican candidates—including, of course, Donald Trump himself—who hosted campaign events at various Trump-owned properties, according to reporting by The Washington Post. 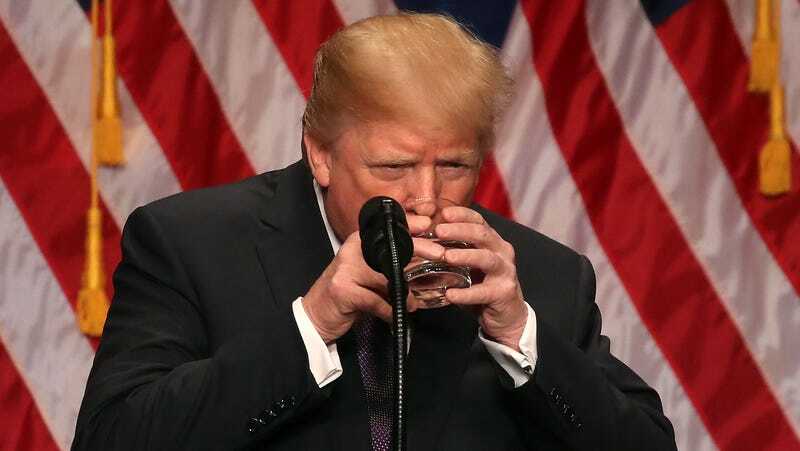 The mineral content is actually “very low,” according to Michael Mascha, publisher of the Web site FineWaters and author of “A Connoisseur’s Guide to the World’s Most Distinctive Bottled Waters.” Mascha also said that the fact that it’s in a plastic bottle, not glass, is an obvious sign that Trump Ice is not a luxury product. Minerals are commonly found in toilet water. So there you have it—Donald Trump’s campaign is spending thousands of dollars on Trump Ice, which may or may not be worse that toilet water.